The first entry in my Politics on Film marathon is 1972’s The Candidate, which cleverly depicts an idealistic young politician learning how the game works. Will this nearly 40-year-old movie still feel relevant in today's messy political arena? Political strategist Marvin Lewis (Peter Boyle) approaches the young activist Bill McKay (Robert Redford) and asks him to run for senator of California against the Republican incumbent (Don Porter), who’s likely an unbeatable foe. Bill’s father was a legendary politician, and his shadow hangs over everything that occurs. As his chances for victory improve, Bill tries to retain his ethics within this unscrupulous political arena. I can guess that similar heated back-room meetings, awkward public conversations, and ideological compromises occur in real elections. Michael Ritchie employs an effective fly-on-the-wall style that places us behind the scenes and doesn’t overplay the drama. Blink and you'll miss one major revelation about Bill's personal corruption that would likely be overplayed in most films. 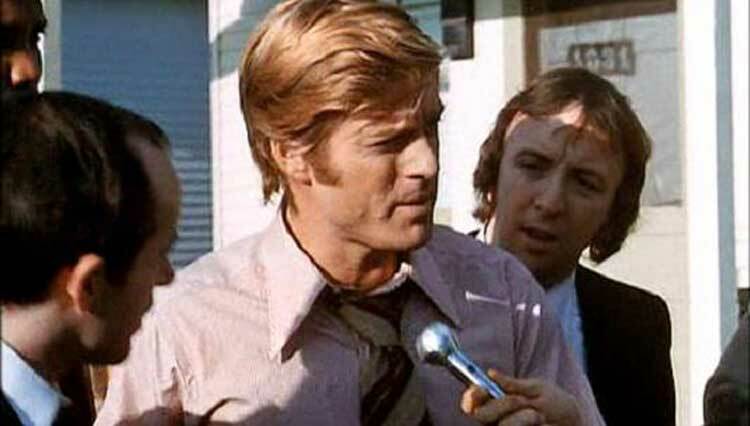 Redford and Porter depict believable politicians whose statements lack the polish of more conventional film characters. Porter’s Crocker Jarmon might be a conservative blowhard, but this type of guy is very familiar, especially when you consider some of today’s real-life goofballs. Looking at the issues in play, it’s surprising that The Candidate was released 40 years ago. Writer Jeremy Larner was the primary speechwriter for Eugene McCarthy’s 1968 presidential campaign, and this experience affected the film’s cynical tone. Although Bill gives a great speech, his words become hollow and sound more like the typical speeches than his original “shoot from the hip” approach. Marvin slowly molds Bill into a professional candidate, a move that helps him win, but it also makes him just another toothless senator. There isn’t one landmark speech that wins the day, but Bill’s speaking style evolves into a more polished approach as the campaign moves along. In an early fundraiser, he speaks with surprising candor about the problems of the day and doesn’t sugarcoat the issues for the wealthy patrons. Another effective moment shows Bill struggling at a local mall to focus in a chaotic environment. By the conclusion, his words lack the conviction of his earlier speeches, regardless of their result on the election’s outcome. I’d never vote for Crocker and his fake persona, but it is possible Bill’s youthful charm would have swayed me to check his box. I agree with some of his ideas, though Lerner and Ritchie make it clear that very little of his goals will lead to positive results. Instead, he’s just another cog in the political machine that’s only grown even uglier in the past 40 years. "What do we do now?" Nice write-up! I'll be interested to view your review on "Bulworth," which I saw as a less successful take on the same theme. I'd never heard of this one before but it sounds worthwhile, so thanks for bringing it to my attention. No problem! I originally heard about this movie on Filmspotting during one of their Top 5 lists and had been meaning to check it out for a while. It's definitely worth your time. Great write up! I can't wait to read the rest of your picks. Thanks Steve! It's definitely been a fun marathon with some good discoveries.